Start of NB-IoT Prototyping Krakow I OBJAVLJENO 12.11.2016. NB-IoT Prototyping started on 8 and lasted untill 11 November 2016. 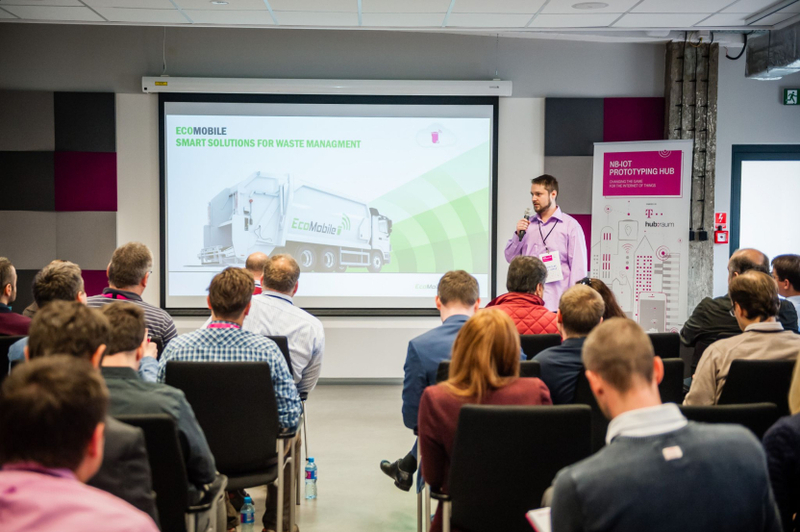 EcoMobile was selected as part of a small group of 20 companies from all over Europe which, as programme partners, would adapt their solutions to NB-loT technology via Hubraum NB-loT prototyping Hub. The goal of the NB-IoT Prototyping Hub programme, by Deutsche Telekom, is to enable partners to have the opportunity to develop and adapt their own solutions to NB-IoT technology, at a very early stage. On October 8 partners working on the development of the solutions using NB-loT technology, were presented. Further development, as well as testing, is going to be done on the spot in DT and HUB: Raum NB-loT labs in Berlin, Krakow and Bonn, using NB-loT network live.